"To be the best National Platform for dealing with all issues related to Pharmacy Teaching and Education in India". To protect the interests of Pharmacy Teachers in general. To develop the Methods & Techniques to impart Quality Education in Pharmacy Profession. To honour the best Teachers, Principals, and Researchers for their contribution to Pharmacy Education & Research and Community Service annually. To establish a APTI - Shree B. M. Reddy Pharmacy Training Institution at Bengaluru to impart continuing Education Programmes needed for updating knowledge of Pharmacy Teachers. To build up rapport with regulatory bodies, Central Government, State Governments, Pharmaceutical Industries and Professional bodies. To provide information regarding job opportunities in Pharmacy Education. 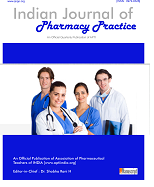 To publish Indian Journal of Pharmaceutical Education and Research, Indian Journal of Pharmacy Practice. To Publish Woman to Woman Quarterly bulletin. To Create database directory of Pharmacy institutions and life members of the Association. To undertake projects from or in co-operation with Central/ State Governments, Industry or other bodies. To acquire. purchase, invest and deal with funds and moneys of the Association. To acquire, purchase or otherwise or take on lease or hire temporarily or permanently, any movable or immovable properly as may be necessary or convenient for the furtherance of the activities of the Association. To sell, buy, mortgage, lease, exchange and otherwise transfer or dispose off all or any property movable or immovable of the Association for the furtherance of the objectives of the association. To construct, maintain, alter, improve or develop any building or work which maybe necessary or convenient for the purposes of the Association. To do all such other lawful things as are conclusive or incidental to the attainment of the above objectives and in furthering the growth of the Association. To nurture the next generation of pharmacists who demonstrate: Uncompromising focus on advancing patient care, Dedication to the industry /pharmacy where he or she works, Strongest commitment to advancing the pharmacy industry overall through innovation. Revolutionize the pharmacy education system to meet the growing demand of the profession by ensuring competent workforce.